Edge-core put out a press release on March 8, 2017 in conjunction with the OpenServer Summit. 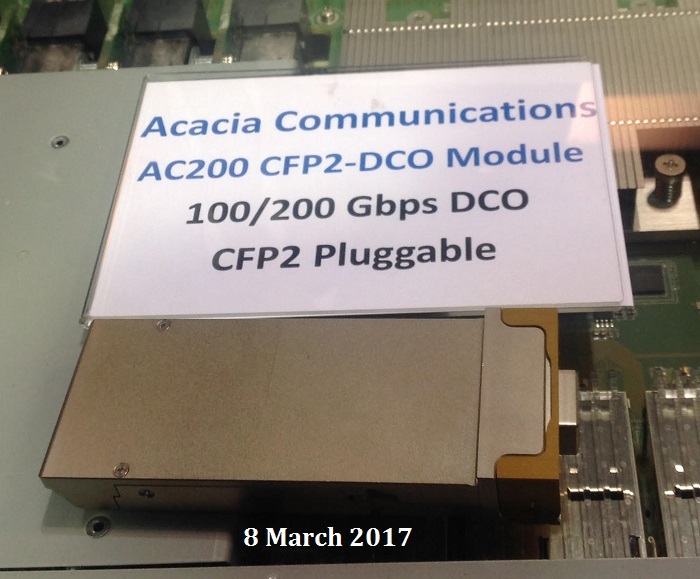 This is a 1.5 RU Tomahawk switch with eight CFP2 modules that can drive a single mode fiber with either 100 or 200 Gb/s using DWDM light and coherent modulation. It was on the trade show floor at the Summit.